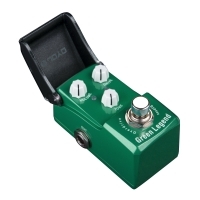 Vintage sound in a mini housing. 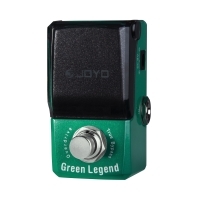 Like all of Joyo's Iron Man series pedals, the JF-319 Green Legend Overdrive is housed in a pedal board friendly casing. 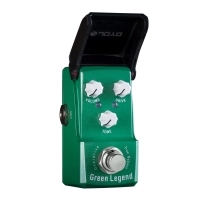 The Green Legend is based on the Ibanez TS9 and differs only a little from the Joyo JF-01 Vintage Overdrive. 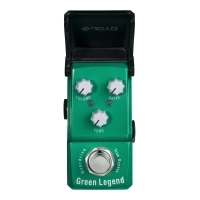 So if you liked the JF-01 be sure to check the JF-319 Green Legend Overdrive. 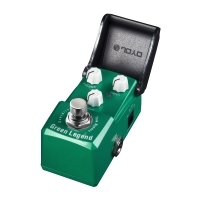 As a low gain overdrive, it can push your tube amp nicely too. 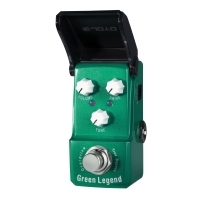 Be sure to try that out on the TonePedia player. 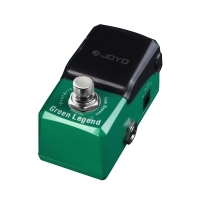 Overall we think that thanks to it's great price and sound, if mini pedals is what you're after then the Joyo JF-319 Green Legend is worth your consideration.